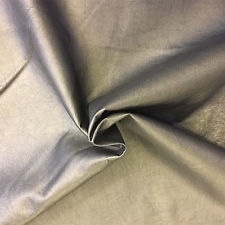 For someone that practices a great deal, has large hands, or suffers from arthritis, would it be advisable to provide a wrapped cotton or wool thread “underlayment” to the bow leather grip? It would be relatively easily done and I think that the leather would adhere equally well to the thread as the wood. @Irv i'm working on this same issue at the moment myself. One solution is to take the thick foam cover from an ink pen for arthritic people and slide it up passed the frog. Im looking at a piece of basswood or balsa wood to drill into that would slide beyond and cover over the frog, widening the surface area for the entire hand. 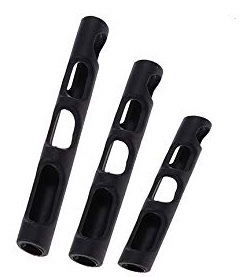 Thinking that if I could find foam pipe wrap for 1/4 inch pipe, that that might work. Is this just to make it fatter and easier to hold? Balance issues aside (I can't remember what I read about them, so I'll let you worry about that), you could put a second piece of leather (or something lighter like silicone if that's lighter) over the original leather and the wire. I noticed that my wire is covered with plastic for protection. I wondered if it was removable, like on watch-faces, but decided, no, leave it be. Otoh, a 19th century bow wouldn't have had this plastic. 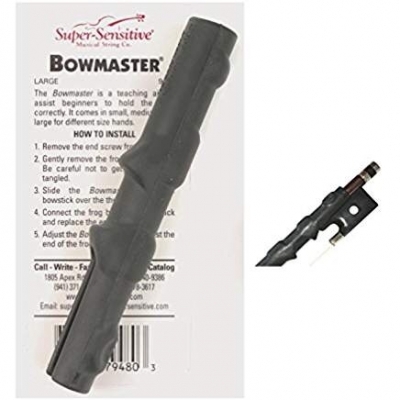 I have found various devices (they appear to have the generic reference of “bow buddies”), that slip over the back end of the stick to provide additional finger support. I was hoping to provide a more subdued inflection. 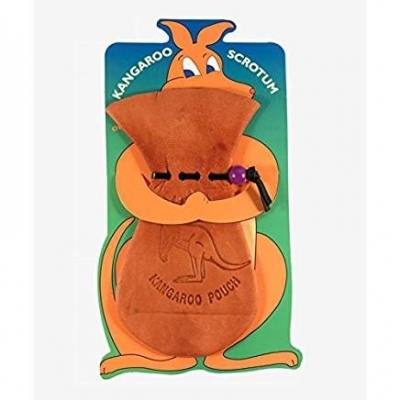 I just purchased a tanned kangaroo hide for the pads, so I am “good to go” in that department. The bow buddies look more like something that would go on a fishing pole. neat but not exactly what I would want. @Irv can you put a pic of the kangaroo skin? I just have a curiosity because I din't know that was something you could buy. @Gordon Shumway I have arthritis pretty bad so for me it is a matter of holding the bow without my thumb locking up. Hi markcobb and others. It is going to be a while before I get the kangaroo leather since it is in shipment. It was tanned a silver color. High quality wallets are made of it since it can handle a high wear environment while being thin. There was also a cult among saxophone players of using it as a pad material. It was compliant enough to act as an excellent air seal and it lasted a very long time. So you don’t have to wait, I got the picture from the auction post. Definitely not what I was expecting. But I believe I could find uses for it. Like Kangaroo underwear. There is a joke in that but I don't think I want to explore it. Hi markcobb. I got you covered on that one. eBay to the rescue. I am definitely buying one to keep peanuts in, like a nutsack.